Displayed in Harbor Gray Metallic with Gray Cloth interior. FWD. 6-Speed Automatic Transmission with Overdrive. Scoring 28/38 City/Highway MPG! 1.8L 4-Cylinder Motor. This is a Certified One-Owner vehicle and comes with a Clean CARFAX! Displayed in Silver Ice Metallic with Dark/Medium Atmosphere interior. FWD. Equipped with a 1.4L 4-Cylinder Turbo Motor and 6-Speed Automatic Transmission. Scoring 30/40 City/Highway MPG! www.alfanomotorcars.com www.alfanochevrolet.com www.mbslo.com Excellent Selection of New and Used Vehicles, GM, Chevrolet, Mercedes, Financing Options, Credit Union, CUDL, Proudly Serving San Luis Obispo, Paso Robles, Atascadero, Arroyo Grande, Pismo Beach, Nipomo, Santa Maria, Shell Beach, Avila Beach, Grover Beach, Santa Margarita, Templeton, Morro Bay, Cayucos, Cambria, Los Osos, Salinas, Fresno, Selma, Sanger, Visalia, Bakersfield, Ventura, Oxnard, 5 Cities, Central Coast, Gold Coast, Coast, King City, Santa Barbara County, San Luis Obispo County, Monterey County, Kern County, Salinas, the Greater Bakersfield, Santa Barbara, Solvang, Santa Ynez, Buellton, Kettleman City, Lompoc, Vandenberg AFB, and LA. **Bluetooth**, **Heated Seats**, **Keyless Entry**, **Moonroof**, **Leather**, **Navigation**, **Sirius XM Radio**, harmon/kardon Premium Sound, 17" 8-Spoke Alloy Wheels, Comfort Suspension, Emergency communication system: mbrace®2, Luxury Sedan Package. Black RWD 7-Speed Automatic 3.5L 6-Cylinder DOHC www.alfanomotorcars.com www.alfanochevrolet.com www.mbslo.com Excellent Selection of New and Used Vehicles, GM, Chevrolet, Mercedes, Financing Options, Credit Union, CUDL, Proudly Serving San Luis Obispo, Paso Robles, Atascadero, Arroyo Grande, Pismo Beach, Nipomo, Santa Maria, Shell Beach, Avila Beach, Grover Beach, Santa Margarita, Templeton, Morro Bay, Cayucos, Cambria, Los Osos, Salinas, Fresno, Selma, Sanger, Visalia, Bakersfield, Ventura, Oxnard, 5 Cities, Central Coast, Gold Coast, Coast, King City, Santa Barbara County, San Luis Obispo County, Monterey County, Kern County, Salinas, the Greater Bakersfield, Santa Barbara, Solvang, Santa Ynez, Buellton, Kettleman City, Lompoc, Vandenberg AFB, and LA. **Bluetooth**, **Heated Seats**, **Keyless Entry**, **Moonroof**, **Leather**, **Navigation**, **Sirius XM Radio**, harmon/kardon Premium Sound, 17" 8-Spoke Alloy Wheels, Comfort Suspension, Emergency communication system: mbrace®2, Luxury Sedan Package. Luxury and Comfort guaranteed! Key Features include: **M Sport Package**, **Hi-Fi Premium Sound**, **Backup Camera**, **M Steering Wheel**, **Bluetooth® Connectivity**, **Heated & Ventilated Seats**, **Moonroof**, **Navigation System**, **SIRIUSXM Radio**, **Parking Sensors**, **BMW Assist**, **Premium Wheels**, **Rear Seat Mirrors**, plus more! Clean CARFAX. Black Sapphire Metallic with Oyster interior. RWD. 6-Speed Automatic Transmission. 4.4L V8 Twin Turbocharged Motor. 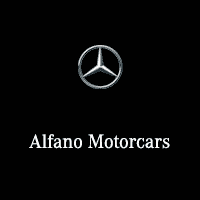 www.alfanomotorcars.com www.alfanochevrolet.com www.alfano.mercedesdealer.com Excellent Selection of New and Used Vehicles, GM, Chevrolet, Mercedes, Financing Options, Credit Union, CUDL, Proudly Serving San Luis Obispo, Paso Robles, Atascadero, Arroyo Grande, Pismo Beach, Nipomo, Santa Maria, Shell Beach, Avila Beach, Grover Beach, Santa Margarita, Templeton, Morro Bay, Cayucos, Cambria, Los Osos, Salinas, Fresno, Selma, Sanger, Visalia, Bakersfield, Ventura, Oxnard, 5 Cities, Central Coast, Gold Coast, Coast, King City, Santa Barbara County, San Luis Obispo County, Monterey County, Kern County, Salinas, the Greater Bakersfield, Santa Barbara, Solvang, Santa Ynez, Buellton, Kettleman City, Lompoc, Vandenberg AFB, and LA.Luxury and Comfort guaranteed! Key Features include: **M Sport Package**, **Hi-Fi Premium Sound**, **Backup Camera**, **M Steering Wheel**, **Bluetooth® Connectivity**, **Heated & Ventilated Seats**, **Moonroof**, **Navigation System**, **SIRIUSXM Radio**, **Parking Sensors**, **BMW Assist**, **Premium Wheels**, **Rear Seat Mirrors**, plus more! Clean CARFAX. Black Sapphire Metallic with Oyster interior. RWD. 6-Speed Automatic Transmission. 4.4L V8 Twin Turbocharged Motor. Black with Black interior. RWD. 7-Speed Automatic Transmission. Scoring 20/30 City/Highway MPG! 3.5L 6-Cylinder Motor. **Backup Camera**, **Bluetooth®**, **Cooled Seats**, **Heated Seats**, **Keyless Entry**, **Keyless Start**, **Leather Seating**, **Powered Moonroof**, **Navigation**, **SiriusXM Satellite Radio**, **BMW Assist**, **Luxury Seating**, **Parking Sensors**, Black w/Dakota Leather Upholstery. Clean CARFAX. Titanium Silver Metallic RWD 6-Speed Automatic Transmission. 3.0L I6 Twin Turbocharged www.alfanomotorcars.com www.alfanochevrolet.com www.alfano.mercedesdealer.com Excellent Selection of New and Used Vehicles, GM, Chevrolet, Mercedes, Financing Options, Credit Union, CUDL, Proudly Serving San Luis Obispo, Paso Robles, Atascadero, Arroyo Grande, Pismo Beach, Nipomo, Santa Maria, Shell Beach, Avila Beach, Grover Beach, Santa Margarita, Templeton, Morro Bay, Cayucos, Cambria, Los Osos, Salinas, Fresno, Selma, Sanger, Visalia, Bakersfield, Ventura, Oxnard, 5 Cities, Central Coast, Gold Coast, Coast, King City, Santa Barbara County, San Luis Obispo County, Monterey County, Kern County, Salinas, the Greater Bakersfield, Santa Barbara, Solvang, Santa Ynez, Buellton, Kettleman City, Lompoc, Vandenberg AFB, and LA. **Backup Camera**, **Bluetooth®**, **Cooled Seats**, **Heated Seats**, **Keyless Entry**, **Keyless Start**, **Leather Seating**, **Powered Moonroof**, **Navigation**, **SiriusXM Satellite Radio**, **BMW Assist**, **Luxury Seating**, **Parking Sensors**, Black w/Dakota Leather Upholstery. Clean CARFAX! Displayed in Silver Ice Metallic with Ebony Cloth interior. RWD. 4-Speed Automatic Transmission with Overdrive. Vortec 4.8L V8 Motor. 2 Additional Master Keys, 4.2" Pixel Matrix Display, Air Conditioning Enhanced Power, Automatic Climate Control, Becker Map Pilot Navigation System, Comfort Driver's Seat, Comfort Passenger's Seat, Comfort Suspension, Cruise Control, Driver Comfort Package, Driver Efficiency Package, Driver Seat Backrest Storage Net, Driver Seat Lumbar Support, Driver Side Electric Sliding Door, Fog Lamps, Front Carpeting, Front Footwell Lighting, High Performance Air Conditioning, Illuminated Vanity Mirrors, Interior Appearance Package, Interior Chrome Accents, Leather Rim Steering Wheel w/Chrome Trim, Lower Console Storage Tray, Multifunction Steering Wheel w/Trip Computer, Multi-Function Wheel/Display Package, Passenger Seat Backrest Storage Net, Passenger Seat Lumbar Support, Premium Overhead Control Panel, Rear Carpeting, Rear Grab Handle Reading Lights, Rear-View Camera. CARFAX One-Owner. Clean CARFAX. Arctic White RWD 7G-TRONIC 7-Speed Automatic 2.0L 4-Cylinder Turbocharged DOHC www.alfanomotorcars.com www.alfanochevrolet.com www.mbslo.com Excellent Selection of New and Used Vehicles, GM, Chevrolet, Mercedes, Financing Options, Credit Union, CUDL, Proudly Serving San Luis Obispo, Paso Robles, Atascadero, Arroyo Grande, Pismo Beach, Nipomo, Santa Maria, Shell Beach, Avila Beach, Grover Beach, Santa Margarita, Templeton, Morro Bay, Cayucos, Cambria, Los Osos, Salinas, Fresno, Selma, Sanger, Visalia, Bakersfield, Ventura, Oxnard, 5 Cities, Central Coast, Gold Coast, Coast, King City, Santa Barbara County, San Luis Obispo County, Monterey County, Kern County, Salinas, the Greater Bakersfield, Santa Barbara, Solvang, Santa Ynez, Buellton, Kettleman City, Lompoc, Vandenberg AFB, and LA.2 Additional Master Keys, 4.2" Pixel Matrix Display, Air Conditioning Enhanced Power, Automatic Climate Control, Becker Map Pilot Navigation System, Comfort Driver's Seat, Comfort Passenger's Seat, Comfort Suspension, Cruise Control, Driver Comfort Package, Driver Efficiency Package, Driver Seat Backrest Storage Net, Driver Seat Lumbar Support, Driver Side Electric Sliding Door, Fog Lamps, Front Carpeting, Front Footwell Lighting, High Performance Air Conditioning, Illuminated Vanity Mirrors, Interior Appearance Package, Interior Chrome Accents, Leather Rim Steering Wheel w/Chrome Trim, Lower Console Storage Tray, Multifunction Steering Wheel w/Trip Computer, Multi-Function Wheel/Display Package, Passenger Seat Backrest Storage Net, Passenger Seat Lumbar Support, Premium Overhead Control Panel, Rear Carpeting, Rear Grab Handle Reading Lights, Rear-View Camera. CARFAX One-Owner. Clean CARFAX. Summit White with Jet Black interior. FWD. 1-Speed Automatic Transmission.1.5L DOHC Motor. Fuel-Efficient! **All Wheel Drive**, **AWD**, **Backup Camera**, **Bluetooth®**, **Clean CARFAX**, **Fog Lights**, **Keyless Entry**, **Daytime Running Lights**, **Alloy Wheels**, **Power Liftgate Release**, **Blind Spot Monitor**, **MAZDA CONNECT**. Clean CARFAX! Displayed in Soul Red Metallic with Black Cloth interior. AWD. SKYACTIV® 2.5L 4-Cylinder Motor. 6-Speed Automatic Transmission. Scoring 24/30 City/Highway MPG! www.alfanomotorcars.com www.alfanochevrolet.com www.alfano.mercedesdealer.com Excellent Selection of New and Used Vehicles, GM, Chevrolet, Mercedes, Financing Options, Credit Union, CUDL, Proudly Serving San Luis Obispo, Paso Robles, Atascadero, Arroyo Grande, Pismo Beach, Nipomo, Santa Maria, Shell Beach, Avila Beach, Grover Beach, Santa Margarita, Templeton, Morro Bay, Cayucos, Cambria, Los Osos, Salinas, Fresno, Selma, Sanger, Visalia, Bakersfield, Ventura, Oxnard, 5 Cities, Central Coast, Gold Coast, Coast, King City, Santa Barbara County, San Luis Obispo County, Monterey County, Kern County, Salinas, the Greater Bakersfield, Santa Barbara, Solvang, Santa Ynez, Buellton, Kettleman City, Lompoc, Vandenberg AFB, and LA.Fuel-Efficient! **All Wheel Drive**, **AWD**, **Backup Camera**, **Bluetooth®**, **Clean CARFAX**, **Fog Lights**, **Keyless Entry**, **Daytime Running Lights**, **Alloy Wheels**, **Power Liftgate Release**, **Blind Spot Monitor**, **MAZDA CONNECT**. Clean CARFAX! Displayed in Soul Red Metallic with Black Cloth interior. AWD. SKYACTIV® 2.5L 4-Cylinder Motor. 6-Speed Automatic Transmission. Scoring 24/30 City/Highway MPG! CARFAX One-Owner. Clean CARFAX. Onyx Black Metallic with Off-Black interior. FWD. Automatic with Geartronic. 2.0L I4 16V Turbocharged Motor. Great Features! **Lane Departure Warning System**, **Navigation**, **Moonroof**, **Backup Camera**, **Bluetooth®**, **ETune Radio (w/ 6-Speaker Audio)**, **Fog Lights**, **Keyless Entry**, **Heated Door Mirrors**, plus more! CARFAX One-Owner. Clean CARFAX. Certified! Super White with Black interior. FWD. 6-Speed Automatic Transmission. Scoring 23/30 City/Highway MPG! Super reliable 2.5L 4-Cylinder Motor. Toyota Combined Details: * Limited Comprehensive Warranty: 12 Month/12,000 Mile (whichever comes first) from certified purchase date. Battery 8 years/100,000 miles (whichever comes first) from original in-service date. Roadside Assistance for 1 Year (for Toyota Certified Used Hybrids program), Limited Comprehensive Warranty: 12 Month/12,000 Mile (whichever comes first) from certified purchase date. Roadside Assistance for 1 Year (for Toyota Certified Used Vehicles program) * Transferable Warranty * Powertrain Limited Warranty: 84 Month/100,000 Mile (whichever comes first) from original in-service date * Vehicle History * Roadside Assistance * Warranty Deductible: $50 * 160 Point Inspection (for Toyota Certified Used Vehicles program), 174 Point Inspection (for Toyota Certified Used Hybrids program) www.alfanomotorcars.com www.alfanochevrolet.com www.alfano.mercedesdealer.com Excellent Selection of New and Used Vehicles, GM, Chevrolet, Mercedes, Financing Options, Credit Union, CUDL, Proudly Serving San Luis Obispo, Paso Robles, Atascadero, Arroyo Grande, Pismo Beach, Nipomo, Santa Maria, Shell Beach, Avila Beach, Grover Beach, Santa Margarita, Templeton, Morro Bay, Cayucos, Cambria, Los Osos, Salinas, Fresno, Selma, Sanger, Visalia, Bakersfield, Ventura, Oxnard, 5 Cities, Central Coast, Gold Coast, Coast, King City, Santa Barbara County, San Luis Obispo County, Monterey County, Kern County, Salinas, the Greater Bakersfield, Santa Barbara, Solvang, Santa Ynez, Buellton, Kettleman City, Lompoc, Vandenberg AFB, and LA.Great Features! **Lane Departure Warning System**, **Navigation**, **Moonroof**, **Backup Camera**, **Bluetooth®**, **ETune Radio (w/ 6-Speaker Audio)**, **Fog Lights**, **Keyless Entry**, **Heated Door Mirrors**, plus more! CARFAX One-Owner. Clean CARFAX. Certified! Super White with Black interior. FWD. 6-Speed Automatic Transmission. Scoring 23/30 City/Highway MPG! Super reliable 2.5L 4-Cylinder Motor. **MERCEDES CERTIFIED**, **Purchased at Alfano Motorcars**, **mbrace®2 Emergency Communication System**, **Bluetooth® Connectivity**, **Keyless Entry**, **MB-Tex Leather Seating**, **SIRIUSXM Satellite Radio**, **Hill Start Assist**, **8-Speaker Audio**, **Child Seat Sensing Airbag**. This vehicle is Mercedes-Benz Certified and comes with a Clean CARFAX! Displayed in Black with Black interior. RWD. 7G-TRONIC PLUS 7-Speed Automatic Transmission. 2.0L I4 Turbocharged Motor. Scoring 25/34 City/Highway MPG! Mercedes-Benz Certified Pre-Owned Details: * Vehicle History * 165 Point Inspection * Roadside Assistance * Transferable Warranty * Includes Trip Interruption Reimbursement and 7 days/500 miles Exchange Privilege * Limited Warranty: 12 Month/Unlimited Mile beginning after new car warranty expires or from certified purchase date * Warranty Deductible: $0 www.alfanomotorcars.com www.alfanochevrolet.com www.alfano.mercedesdealer.com Excellent Selection of New and Used Vehicles, GM, Chevrolet, Mercedes, Financing Options, Credit Union, CUDL, Proudly Serving San Luis Obispo, Paso Robles, Atascadero, Arroyo Grande, Pismo Beach, Nipomo, Santa Maria, Shell Beach, Avila Beach, Grover Beach, Santa Margarita, Templeton, Morro Bay, Cayucos, Cambria, Los Osos, Salinas, Fresno, Selma, Sanger, Visalia, Bakersfield, Ventura, Oxnard, 5 Cities, Central Coast, Gold Coast, Coast, King City, Santa Barbara County, San Luis Obispo County, Monterey County, Kern County, Salinas, the Greater Bakersfield, Santa Barbara, Solvang, Santa Ynez, Buellton, Kettleman City, Lompoc, Vandenberg AFB, and LA. **MERCEDES CERTIFIED**, **Purchased at Alfano Motorcars**, **mbrace®2 Emergency Communication System**, **Bluetooth® Connectivity**, **Keyless Entry**, **MB-Tex Leather Seating**, **SIRIUSXM Satellite Radio**, **Hill Start Assist**, **8-Speaker Audio**, **Child Seat Sensing Airbag**. This vehicle is Mercedes-Benz Certified and comes with a Clean CARFAX! Displayed in Black with Black interior. RWD. 7G-TRONIC PLUS 7-Speed Automatic Transmission. 2.0L I4 Turbocharged Motor. Scoring 25/34 City/Highway MPG! Like New - Less than 900 Miles! **BOSE Surround Sound**, **Adaptive Lighting System**, **Lane Keep Assist**, **Traffic Sign Recognition**, **Parking &B Blind Spot Sensors**, **Lane Departure Warning System**, **Rear View Back-up Camera**, **Bluetooth® Connectivity**, **Heated Seats**, **Keyless Entry**, **Leather Seats**, **Moonroof**, **Navigation**, **Push Button Start**, **SIRIUSXM Satellite Radio**, **Heated Steering Wheel**, plus more! CARFAX One-Owner. Clean CARFAX! Displayed in Machine Gray Metallic with Black interior. FWD. 6-Speed Automatic Transmission. SKYACTIV® 2.5L 4-Cylinder Motor. Scoring 26/35 City/Highway MPG! www.alfanomotorcars.com www.alfanochevrolet.com www.alfano.mercedesdealer.com Excellent Selection of New and Used Vehicles, GM, Chevrolet, Mercedes, Financing Options, Credit Union, CUDL, Proudly Serving San Luis Obispo, Paso Robles, Atascadero, Arroyo Grande, Pismo Beach, Nipomo, Santa Maria, Shell Beach, Avila Beach, Grover Beach, Santa Margarita, Templeton, Morro Bay, Cayucos, Cambria, Los Osos, Salinas, Fresno, Selma, Sanger, Visalia, Bakersfield, Ventura, Oxnard, 5 Cities, Central Coast, Gold Coast, Coast, King City, Santa Barbara County, San Luis Obispo County, Monterey County, Kern County, Salinas, the Greater Bakersfield, Santa Barbara, Solvang, Santa Ynez, Buellton, Kettleman City, Lompoc, Vandenberg AFB, and LA.Like New - Less than 900 Miles! **BOSE Surround Sound**, **Adaptive Lighting System**, **Lane Keep Assist**, **Traffic Sign Recognition**, **Parking &B Blind Spot Sensors**, **Lane Departure Warning System**, **Rear View Back-up Camera**, **Bluetooth® Connectivity**, **Heated Seats**, **Keyless Entry**, **Leather Seats**, **Moonroof**, **Navigation**, **Push Button Start**, **SIRIUSXM Satellite Radio**, **Heated Steering Wheel**, plus more! CARFAX One-Owner. Clean CARFAX! Displayed in Machine Gray Metallic with Black interior. FWD. 6-Speed Automatic Transmission. SKYACTIV® 2.5L 4-Cylinder Motor. Scoring 26/35 City/Highway MPG! One Previous Owner. Clean CARFAX. Displayed in Diamond White Metallic with Almond/Mocha interior. RWD. 7G-TRONIC PLUS Transmission (7-Speed Automatic). Scoring 18/27 City/Highway MPG! Twin Turbocharged 4.7L V8 Motor. Clean CARFAX. Nebula Gray Pearl Light Gray w/Fabric Seat Trim. FWD. 6-Speed Automatic Transmission w/ Sequential Shift. ECT-i 3.5L V6 Motor. Scoring 18/25 City/Highway MPG!